Say farewell to dirt, mould and stains with our high-pressure cleaning services! 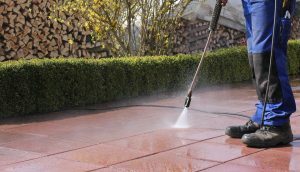 With years of industry experience, LeafVac is the renowned and trusted providers of high pressure cleaning services to residential and commercial clients in Melbourne. With our skills, experience and highly advanced tools, we aim to complete the job with the highest quality end results, at the best value for our customers. Whether the surface is concrete, sandstone, slate, pebble/stencil Crete, bricks or pavers, LeafVac can bring new life and vibrancy to everything that looks old and tiring. It’s a great way to eliminate any slippery moss from the driveways and steps to avoid any nasty falls. We guarantee you that each job will be handled professionally and with extreme care for you to get the best high-pressure cleaning without the high price tag. We use an advanced pressure cleaning system that can clean anything and everything in minimum time and with no mess. 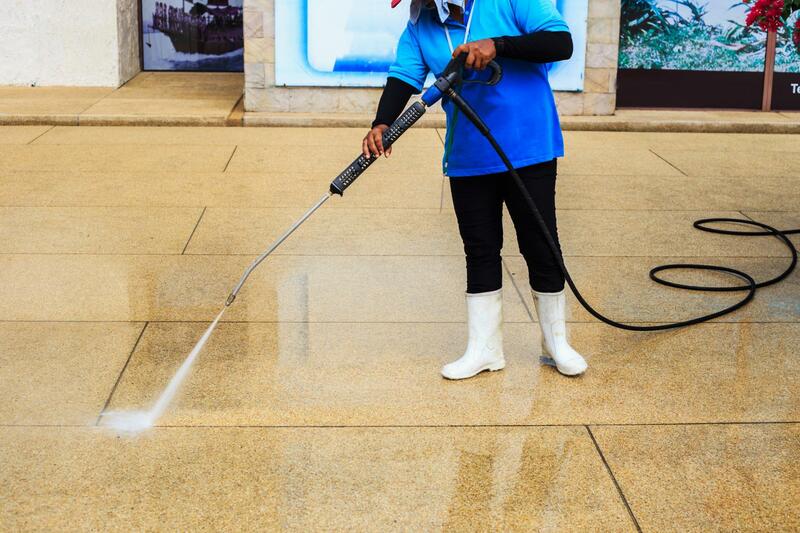 Our high-pressure cleaning service not only makes the hard surfaces visually pleasing but also reduces allergy flare ups that help you keep asthma at bay. The roof is one of the most important and prominent parts of any property and in such harsh Australian climate, it becomes essential to regularly clean and maintains the roof. If proper and timely steps are not taken, it can lead to expensive roof repair and restoration need. But don’t worry, LeafVac high-pressure roof cleaning service can save you from the money and the stress of dealing with damaged roofs. We utilise high-pressure sprayer to remove the dirt, grit or contaminants, without damaging the roof. After cleaning the roof, we spray bio-degradable anti-mould treatment which will prevent the formation of the new mould for a longer time-span. Our professional technicians are insured, experienced in handling any roof and our well equipped with the latest pressure cleaning gear to provide our clients with the excellent results and guaranteed customer satisfaction.